To Register for this years swap please make certain that you complete all of the information on the check out page. 3. List of participants which will include their name, city, state and Country. 4. 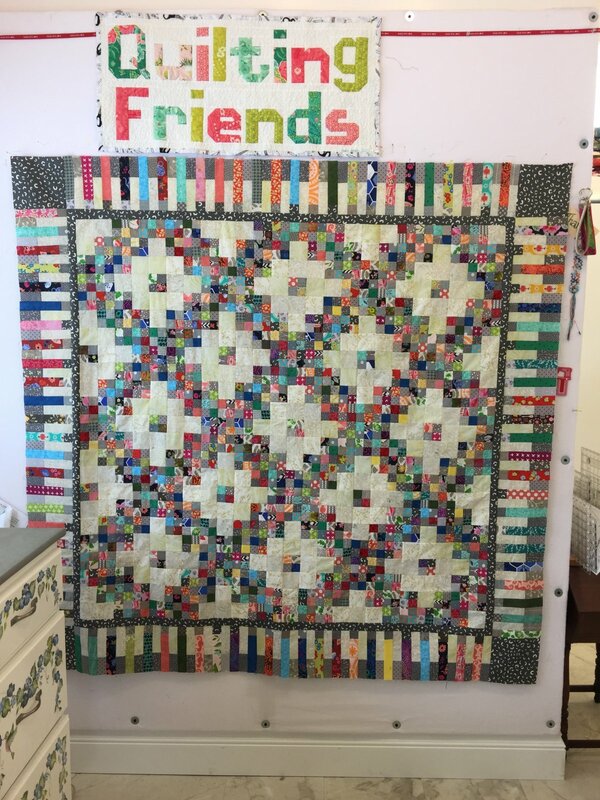 A 10% off coupon for edge to edge long arm quilting of your Miss Marker's Friendship Chain Quilt, (a value of up to $ 25.00). To be redeemed between October 1, 2019 and February 1, 2020. These items will be shipped on April 1st along with your first month Fabric Kit. USPS priority shipping within the USA, all international shipping will have additional charges. When you receive your monthly kits you will be making 66 four patches that will be made from the Kit Dark Gray Fabrics and your stash. The instructional pattern to make the four patches will be included in your April kit and there will also be a video tutorial available on April 1st guiding you through the steps of making them. Each month set aside the Neutral Fabric, these will be used when putting together your Chain Blocks and border. Again, these instructions will be included in your pattern and a video tutorial will also be available. Once you've made those adorable little Four Patches you will be sending them to Miss Marker's Quilts, PO Box 28, Sodus, NY 14551. Please make certain I receive them by the 20th of each swapping month (April - August) and on the first of the next month I will be sending you your next monthly kit and 66 swapped four patches.